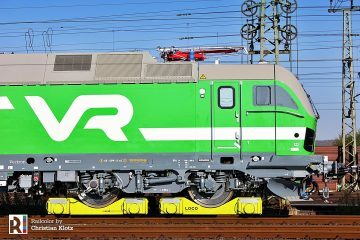 The Spanish Division of Stadler and German rail freight operator Havelländische Eisenbahn (HVLE), have announced today a purchase agreement for the supply of ten six-axle EuroDual locomotives in German configuration. 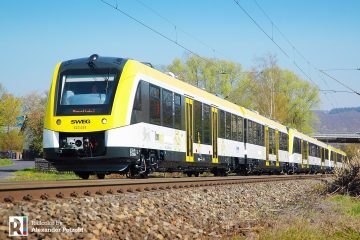 Update: Rail Business brings the technical specs of the new hvle hybrids: Diesel: 2.8 MW Caterpillar engine, Electric: 5.2 MW duration power, top speed 120 kph. The first unit is expected to arrive in 2020. 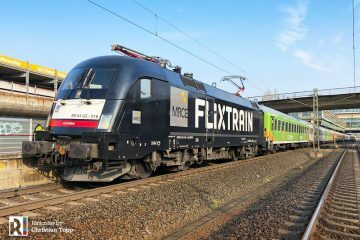 HVLE and Stadler have signed a contract for the manufacturing and delivery of ten six-axle EuroDual locomotives and a corresponding full service maintenance agreement. 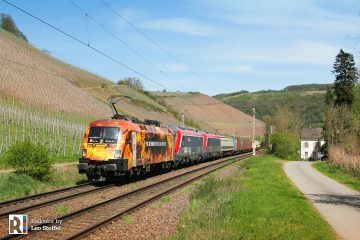 The powerful locomotives will be used in freight transport services in the German network combining both 15kV AC and 25 kV AC electric and diesel operating modes. On the financing side, DAL Deutsche Anlagen-Leasing accompanies the transaction with a tailor-made, asset-based leasing structure. 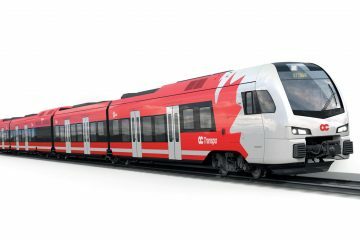 The Rail specialist, headquartered in Mainz, has also taken over the arranging and funding with funds from the German Sparkassen-Finanzgruppe. 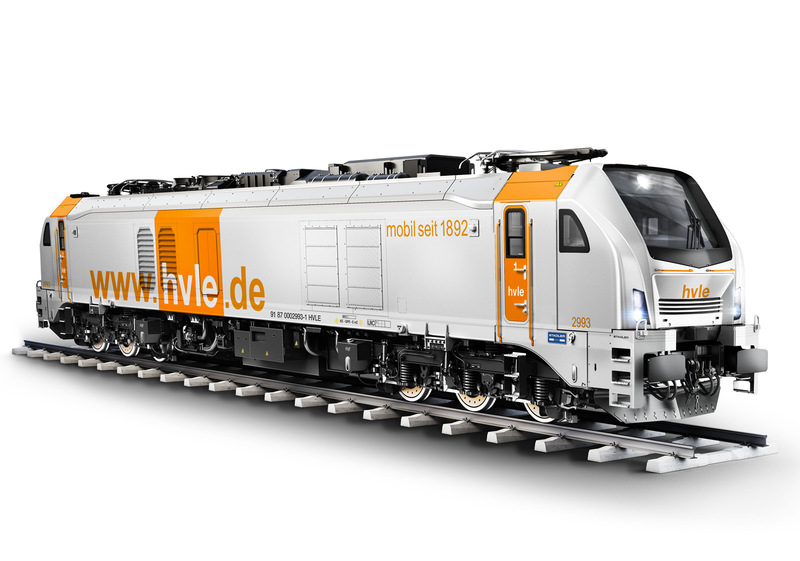 HVLE becomes the launch customer of the new generation of six-axle bi-mode locomotives developed by Stadler for the European market. 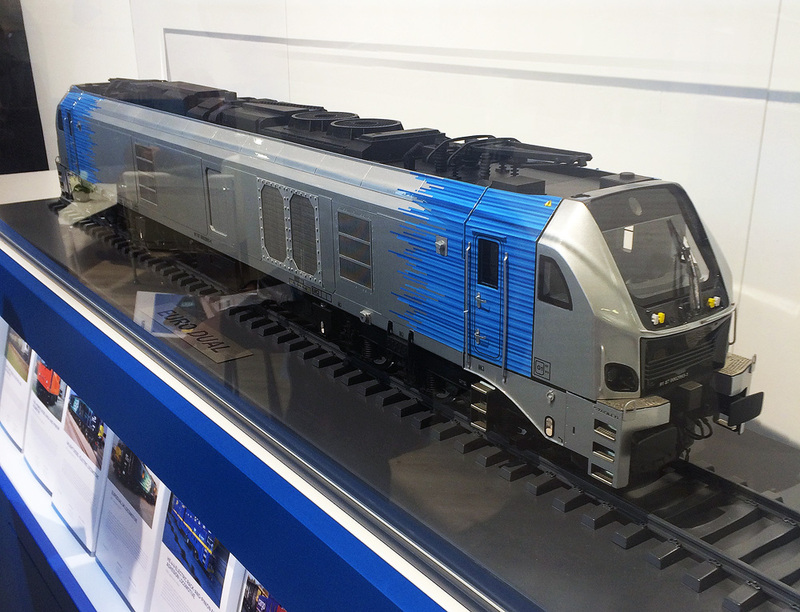 Stadler’s EuroDual is a bi-mode locomotive with impressive performance, both in diesel and in electrical mode, available in different configurations, gauges and overhead voltages. 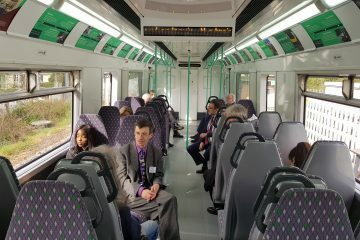 The modular platform also offers a wide range of different power in diesel mode to adequately meet individual customers’ needs. 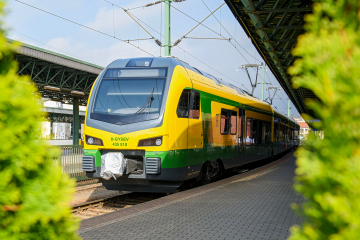 The versatile locomotive platform is designed for freight and passenger mainline applications, at speeds of up to 160 km/h, on electrified and non-electrified lines. 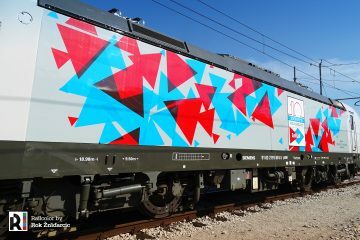 Stadler, well known rolling stock manufacturer including freight locomotives for the European market, is currently supplying four-axle bi-mode locomotives Class 88 to British operator Direct Rail Services and performing first tests of the six-axle EuroDual prototype in its Spanish plant.